Home/adrenals, Blog, nutritional testing, Supplements, TRIAD testing/What Supplements Do I Need? In our recent survey, several people asked the question “What supplements do I need?” Are you wondering about this, or if you need supplements at all? Answering these questions is exactly what we do at BeWell. In a perfect world, your diet would be just what your body needs and your gut would be able to digest and absorb all the nutrients you need to stay healthy. But for most of us living in the modern world, this is just not possible. The Standard American Diet (SAD) is filled with less than nutritious processed foods, GMOs, and pesticides. The soil our food is grown in has steeply declined in nutrient value, which means the food we’re eating isn’t as nutritious as it once was. Compounding these issues, we’re constantly exposed to toxins in our food, water, and air, as well as personal care and cleaning products. In the modern world, stress levels are consistently high, and many people are dealing with digestion problems, Candida, SIBO, or other gut issues, which interfere with proper nutrient absorption. The decrease in nutrients in our food and increase in stress, toxins, and gut issues combines to make it impossible to get all the nutrients we need from food alone. It requires at least a few essential supplements to maintain optimal levels of nutrients, no matter how healthy your diet is. The question then is, which supplements and how much? And the answer is, it depends on your unique body chemistry. 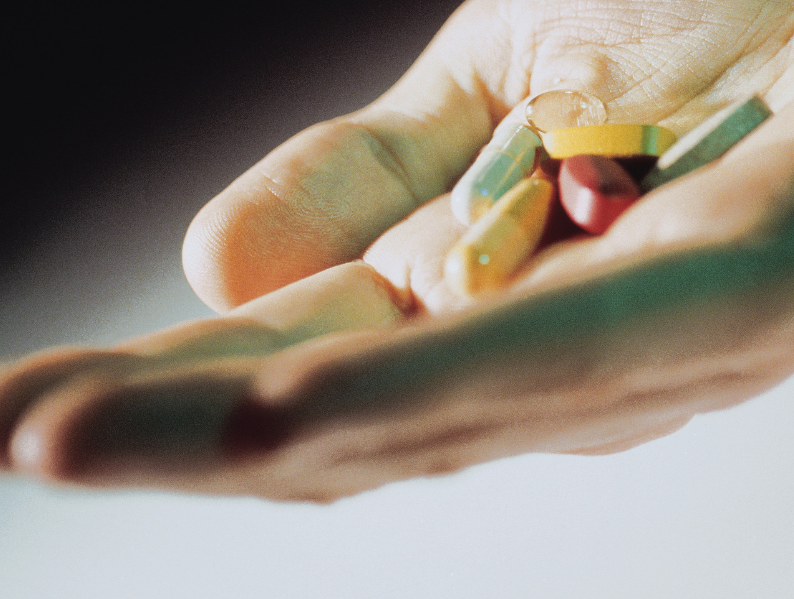 There’s no “one size fits all” when it comes to supplements. At BeWell, we help every client better understand what their unique body chemistry requires for optimal health. This is why we have studied and are well-versed in symptomatology, the understanding of how symptoms reveal nutrient depletion/overages, or problems with functional processes in your body systems. It’s also why we encourage functional testing, such as the TRIAD test, which reveals these kinds of deficiencies or functional blockages, all of which can be corrected through diet and lifestyle. Let me give you an example of how dramatically helpful testing can be. Many years ago I worked with a young woman named Jane who was in complete adrenal collapse. Or so we thought. She had all the signs and symptoms of adrenal burnout: she was exhausted, could no longer go to school or work. She felt vaguely flu-like all the time. We tried an adrenal supporting program, but she had minimal improvement. I suggested an early version of the TRIAD. Through the testing, we discovered that Jane had damaged mitochondria, which are the energy-producing furnaces in our cells, and was deficient in B6, an essential cofactor which helps us produce cortisol and dopamine, brain chemicals needed for energy, motivation, focus, and a sense of well-being. We added small amounts of COQ10 and the active form of B6 (P5P). She had a near instantaneous recovery! These two nutrients that were key for her body brought her back to life, pretty instantly. I could never have known that she needed just those two nutrients to make such a massive difference for Jane. She was able to return to school, finish her degree, find a job, and later marry. Who knows what would’ve been Jane’s future health if we hadn’t done the testing and discovered her need for those specific nutrients? So although the media would like you to think that there is a magic supplement that will have a uniform effect on everyone, it’s just not true. There is no one thing that everyone should be taking. It just depends on your individual biochemistry. That’s what we at BeWell will help you to discern. Through an analysis of your health history, food diary, and discussions about your symptoms, along with functional testing if you choose it, we can determine the precise supplement needs of your body. Your Custom Program Plan, along with diet and lifestyle changes, will help you feel your absolute best. Ready to get started? Book a Free 15 Minute Consultation HERE. Already a client and wondering if your supplement plan is still the best one for you? Book a Tune-Up Appointment HERE.